Childbirth includes three ‘active’ stages of labour; they are called the first, second and third stages. Once labour is ‘established’ (labour is active), each stage continues on from the preceding stage; this means that, for most women, once labour begins it will continue through each stage until the baby is born and the placenta is delivered. Once in labour, a woman may have difficulty communicating her wishes about care preferences, so during pregnancy (and when facilities and care pathways available are known), it is a good idea to write down care preferences for labour and what ideally you’d wish to be avoided (for example, stating a preference for epidural analgesia and a wish to avoid an active third stage approach). This is called a birth plan. You may want to discuss your birth plan with those who will provide support to you in labour, your partner or friends, and with your midwife or doctor. It is important to remember, however, that you can change your mind about what you’ve chosen and written in your birth plan and it is also important to understand that labour and birth does not always go according to plan and unforeseen events may occur that require a different approach to the one you may have originally chosen. Nothing will happen to you without a full explanation from the professionals caring for you and without your agreement. There is a period of time before labour is fully established called the latent stage/phase that is not classed as part of active (established) labour (so not a main stage). It is the time when your body is readying itself for labour. ‘Signs’ that labour may not be too far away may happen during the latent phase. These signs include the passing of the mucus plug from the cervix (neck of the womb), which is sometimes referred to as a ‘show’. This mucus is often bloodstained. 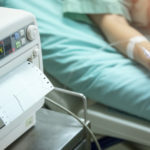 Fresh blood loss at this time is not normal and should alert you to seek advice from professionals at your birth hospital or your midwife if you’re planning to give birth at home. The membrane around the baby may tear and some of the water that surrounds the baby may leak – sometimes referred to as ‘waters breaking’ –if this happens, you should contact your hospital or midwife for advice. During the latent phase, contractions will usually start. These contractions are often irregular, may vary in strength and duration, and they may also stop and start. If you attend hospital during the latent stage, you may be advised to return home again. Returning home can be disappointing, but unless the cervix (neck of the womb) is enlarging (dilating), labour is not properly established, and research has shown that labour starts and progresses better for women who remain at home. The latent stage can last a few hours to several days. The first stage of labour begins when contractions become regular, which means every 2-3 minutes, and strong, meaning you require medication for contraction pain. However, this is only a guide; each woman is different, and how many children a woman has had and how a woman responds to pain will play a part, which is why it is difficult to say whether labour is established without examining a woman’s cervix. Midwives and doctors are trained to examine a woman’s cervix; this is done to assess the onset and progress of labour. Labour is established when the cervix opens, usually by at least 3-4 cm and in combination with strong regular contractions. The cervix opens to allow the baby to leave the uterus (womb). The time taken for the cervix to open differs for each woman, but on average the cervix will open 1.0 to 1.5 cm per hour. Towards the end of the first stage, you may feel panicky, unwell and start to feel the urge to bear down. This is sometimes referred to as the transitional phase (when you transition from the first to the second stage). The end of the first stage is when the cervix is fully open. 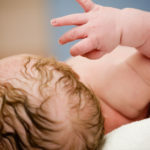 The second stage of labour begins when the cervix is fully open (or no cervix is felt on examination or the baby’s head can be seen) and ends with the birth of the baby. During this stage, the baby travels down the birth canal. Contractions may feel stronger and you may feel the urge to bear down or ‘push’. This need to push aids the birth of the baby; contractions squeeze in a wave-like motion from the top of the uterus (womb) downwards which moves the baby, and bearing down helps increase the action of the contractions. The second stage can last just a few minutes to a few hours. 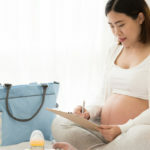 Certain factors influence the length of the second stage – for example, women who have had a baby before may have a shorter second stage than a first-time mum, and women who have an epidural for pain relief may have a longer second stage. The third stage of labour begins once the baby is born and ends with the expulsion of the placenta and control of bleeding. This stage generally lasts a few minutes, but can last up to 20 or 30 minutes. There are two main approaches to ‘managing’ the third stage: a physiological third stage or an active/managed third stage. If a physiological approach is followed, the placenta is allowed to detach from the uterine wall naturally (through the action of contractions). During an active third stage, an injection of a drug is given to help strengthen contractions, this injection speeds up the third stage and has been shown by research studies to lessen the amount of blood loss. Immediately following the third stage is the time when mum (with partner/birth supporter) and baby ideally would spend time together in a quiet environment getting to know one another – this is sometimes known as the fourth stage, although again it is not one of the main stages of labour. Skin-to-skin contact between mum and baby is good to do during this time because it helps bonding and keeps baby warm, and if your choice is to breastfeed, it is good to try breastfeeding during these initial hours following birth. The baby will also be weighed in these first few hours and, if you’ve agreed, vitamin K will be given to the baby. ’Active’ labour is divided into three main stages: the first, second, and third. 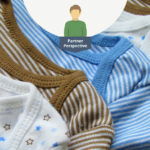 Once labour has begun, it may be difficult to communicate your care preferences to your maternity team, which why it’s important to write down your preferences beforehand in your birth plan (remember that you can change your mind about what you’ve written in your birth plan and that unforeseen complications may mean your birth does not go according to plan). The period before active labour is fully established, when your body is readying itself for labour, is referred to as the latent stage. During this phase, you may pass the mucus plug from the cervix (a ‘show’), your waters may break, and contractions may start (although they may be irregular and vary in strength). 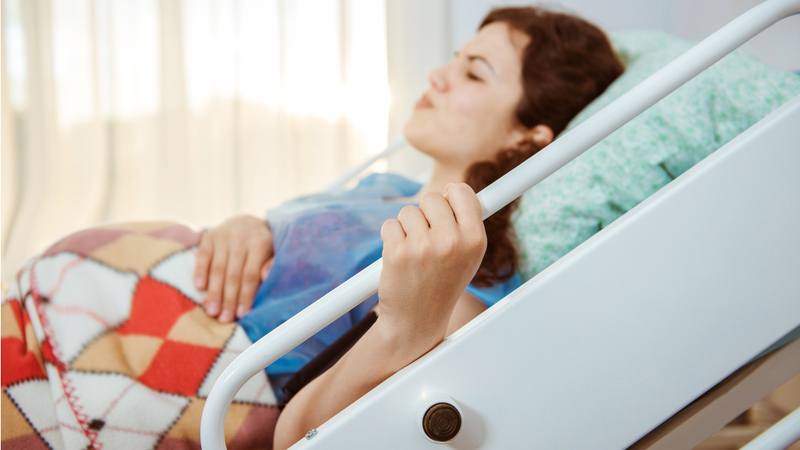 If you go to the hospital during the latent phase, you may be told to go home again as your cervix isn’t dilating and labour isn’t established. The latent stage can last from a few hours to several days. The first stage of labour begins when your contractions become strong and regular and the cervix dilates. A midwife or doctor will examine your cervix to assess the onset and progression of labour. The transitional phase is when you move from the first stage into the second stage. At this time, you may feel panicky, unwell, and feel the urge to bear down. The first stage ends when the cervix is fully dilated. The second stage of labour begins when the cervix is fully open and ends with the birth of the baby. Contractions are stronger during this stage, and you’ll have more of an urge to push as your baby moves down the birth canal. The length of the second stage can vary – from a few minutes to a few hours – based on several different factors such as the form of pain relief used and whether you’ve had a baby before. The third stage begins once the baby is born and ends with the delivery of the placenta. You will have a choice between a physiological third stage, where the placenta is allowed to detach from the uterine wall naturally, or a managed third stage, where an injection is given to speed up its delivery. This usually lasts a few minutes, but it can last up to 30 minutes, and complications, such as a retained placenta, could mean it lasts longer. Editors: Macdonald S, Johnson G. (2017). Maye’s Midwifery (Fifteenth edition). London, Elsevier. Editors: Symonds I M, Arulkumaran S. (2013). Essential Obstetrics and Gynaecology (Fifth edition). London, Elsevier. This topic contains 0 replies, has 1 voice, and was last updated by Vaughan Brown 8 months, 3 weeks ago.